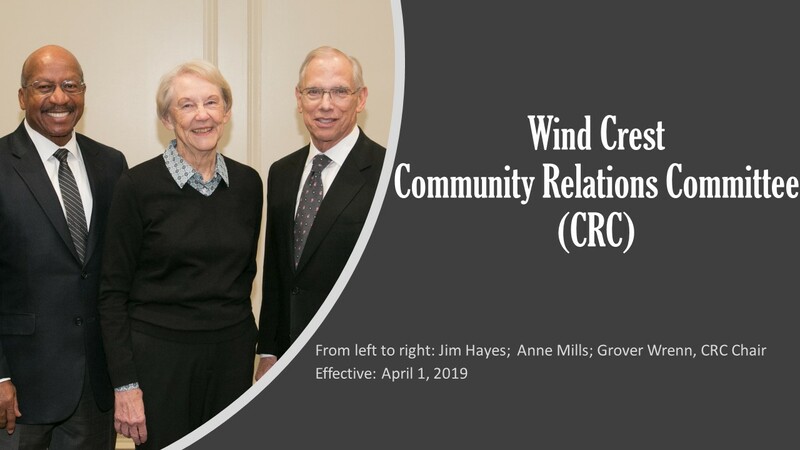 Ms. Mills is a resident of the Wind Crest community in Highlands Ranch, Colorado and recently served as its Resident Advisory Council President. After teaching for 4 years, Ms. Mills joined IBM and retired after 26 years having served in a variety of executive financial and planning positions. Then she became Ottawa University’s Vice-President for Business Management and CFO for 11 years. She also served as a mutual fund trustee for 28 years and board chair for 10 years. Ms. Mills holds a Bachelor’s Degree in Physics and Mathematics from Brown University and a Master’s Degree in Education from Stanford University. She is a Trustee Emerita of Brown University and a Life Trustee of Ottawa University.